Once again the year turns another circle and once again I am overwhelmed by the warmth of your birthday greetings to me. My birthdays always remind me of beautiful Earth orbiting our sun, and that I am part of this marvellous and mysterious cosmic dance. We dance here on earth and the stars and galaxies above and below dance also; there is only One Dance… Thanks to you all from the depths of my heart. Deepest & most soulful best wishes to you, maestro and dearest friend. The inspiration, dedication and joy that you spread through your music to the world is truly timeless. DEAR JOHN HAPPY HAPPY BIRTHDAY!! ALL THE BEST FROM MEXICO CITY!! Happy Birthday John-You’ve been a big influence in my life. I road the elevator with you when I was a 19 year old kid at the Pontchartrain hotel in Detroit 12/30/1973-I couldn’t attend the concert because I was working(room service waiter)It was my birthday, and I was devastated.But you came strolling in with Billy Cobham and a couple of body guards and We all got in to the elevator. You looked at my name tag and said « hi Dan, would you like a cookie? » I accepted. What a story I had to tell to all my Mahavishnu buddies! Thanks John. I later ran in to Jerry Goodman and asked him if the Dance of Maya was in 20/8 and he said « yeh man ». Huge accomplishment for me because all of my friends were disagreeing about that. John McLaughlin, I wish you a great day. Your music has given the world a sense of wonder and possibility. You inspire. Happy Birthday! Mister John! I thank God for You! I wish You happy birthday! God bless You! You are my favorit musician! Please,exuse me for my bad english,but I want You to know,that Your music have changed the life of the boy from a little city,that you had never heared:Alagir in North Osetia in Kaucasian mauntaines. Now I’m not a boy-I have lovely wife and children:girl and two boys,but everyone,of my friends and wellknow people,knows what do You mean to me! I realy love You,and I know God loves You very much! There many words,that I want to say… »I am dancing at the feet of my Lord, all is bliss, all is bliss, all is bliss… »! happy birthday john! thank you for your art! THANK YOU for continually re-defining the guitar AND pure music in general. I remember hearing « Birds Of Fire » back in high school and how that recording forever changed the way I listened to and enjoyed music. I have been fortunate enough to see you twice with The One Truth Band, twice with The John McLaughlin Trio and most recently with The Five Peace Band. All AMAZING musical memories that I will never forget. Peace, blessings, light and the happiest of birthdays to you Maestro!! Thanks a lot for your music, you are the one inspire me to jazz and your music make my life colorful! Stay healthy and I see you soon in Hong Kong! Have a Happy no a Glorious! Anniversary of your birth! I love your playing You are one of my favorite players right up with Kessel, Van Eps, Pass, and Farlow! Happy Birthday to you John. Thanks for the many years of great music and pure inspiration. Keep them coming! Happy birthday and Happy new year to you and your family John. May the fullness of God’s love be upon you. Happy Birthday to the greatest guitarist ever! And here’s to many more! Much love and peace! Happy birthday John. May the fullness of God’s love rest upon you. I have been your follower since I was a teenager. I have been trying to mimic exactly how you played in the ‘This Is The Way I Do It’ demos, from that, I started to gain greater insight and appreciation of your playing. And I cannot thank you enough for the joy that you bring to me in this regard. I sincerely hope that you can release your ‘song books’ (would be best with solo transcription) so that we music students can learn more and efficiently about your music. May you and your family have a Peaceful and Successful Year of 2014! 1/4/14 ( the USA arrangement ) . Awesome ! Dear John , You are one of my best friends and top musicians and composers . You’re music has brought joy to my life since I first heard you in 1972 via Marbles . Plus Your music has taught me how to compose more advanced . I can say you are my Maestro ! Happy Birthday . I thank GOD for you and I’m thankful to you how you reach so many throughout the world ! May the Lord continue to bless You and Yours ! 1/4/14 Happy happy birthday John . GOD bless you and yours ! ¡¡Feliz Cumpleaños! !Thank you for the inspiration in my work. Would LOVE to take your portrait. Trying to get Carlos this year as well since he hangs out here more. Continue to inspire we need more happiness in this world and you maestro are a provider of this! cette année n’oubliez pas le mien le 23. Je vous trouve très beau, et encore plus avec une guitare. Happy Birthday, Dear John! I wish you good health, much joy and inspiration. Happy birthday Master of masters, thanks for your music, you are inspiring. Music has so enriched all of our lives. Happiest of birthdays to John and such great thanks to him. His sense of what music can be has moved me in so many ways. Thank you so! Antek Kotula. Hello John! Still no word on when your Leadership for Dummies is coming out then? It’d be a best seller! Happy Birthday Maestro! Thank you for visiting your US fans this year…it was wonderful to see and hear you again! I wish you a happy Birthday, John! You are such an inspiration to all of us. Your music is love in the air! There are no words that can reflect what means John McLaughlin in my life. I have 54 now and I was 13 when I heard Mahavishnu Orchestra for first time. Life is easier when this music is around you. I don’t believe in anniversaries of any kind but it is a good opportunity to express my best wishes to the master John McLaughlin. Dear John, happy birthday 72. Thanks for your music and your inspiration. I tried listening a latestry released jazz CD at a music store in Sapporo. It was ‘Belo Horizonte (in que alegria). I got a big shock. It was the music kind like that which is not in my life by then. I have been walking my life with your music since then. I wanna just say big Thank You, Arigatou ! John !! Happy Birthday John! It was an honor to play with you and the Mo-II and see you in St. Louis. to your birthday the very best from wuppertal, the city with the suspended railway. Sorry, i am a little bit late…..
happy birthday dear Maestro Yohn i, ma Bruno pedros flamenco guitarridst from napoli ..i give you my cd of 2001 remember me ..i hope to see you in my life again . you ispirated and motivated about music and konnakkol . Thanks for your music, life has become more interesting….. Happy Birthday John! You are an inspiration. Happy birthday Mr. John. Thank you for your wonderful Music, your great hearth,your special way of playing Guitar. Thank you very much…! Greetings from Athens and many wishes!!! Good health and continued inspiration to you. Happy Birthday John. I hope you enjoyed it. Thanks for inspiration and fantastic music. Best wishes! Your work, your universalism, your charisma are beyond words – wish you and your family many happy returns of the day! May we experience the joy of many further inspirations by your art! We are all fortunate to have you in the world. God bless You and Yours. Your prowess on your instrument has had life changing effects upon so many, my self included, that we are enriched by it as a nourishment for the soul. As a composer you prove to be a cornucopia of melody that makes our hearts sing. I have never heard someone who can have such a positive impact as you. Each time you draw from your sonic palette, one feels joy, and grace, and yet fire in a warm embrace of will. Again, Happy Birthday, wishing you many more to come. Blessings to thee ~ and thy family. Belated birthday well wishes, John!!! Thanks for two intimate shows w 4th Dimension @ The Blue Note this past Summer and the unforgettable night at Salle Pleyel w/ SHAKTI in NOV…three of the my favorite evenings of 2013!!!!!!!!! Your personal humility and incredible virtuosity inspire me so much. Dear John, sorry for the delay, but despite of it all our best wishes for your 72nd birthday! Happy Belated Birthday Wishes John man !!!! ¿Ever noticed how all the greatest guitarists are Capricorns? HAPPY BIRTHDAY TO THE MASTER! Happy birthday john, thank you so much for the music you play, to show us the way a guitar should be played!! From Lotus Feet to New York On My Mind and Have You Heard The Voices and back to Meeting Of The Spirits and Two Sisters and then to Bello Horisonte and One Night Stand and Fallen Angels and Jazz Jungle-oh my!-and then back to Meeting of The Spirits-on a regular basis-and then Dark Prince and all the Miles stuff, all of it and the Free Spirits and David and Old Blues New Bruise and Raju-my daughter’s favorite- and …and and….down to the Shakti concert I attended a couple of months ago….this is my personal journey with your music. Thank you John, for all the music and the inspiration. And the the many hours in the woodshed. Thanks so much for another year of brilliant inspirational music and band leading. Happy birthday JOHN ,I just wish you to reach two hundred years. You deserve it because of your fantastic music and because of your morality that together produce all the things you are. Remember Shakti at the Festival Hall, an evening my daughter and I will cherish. You have given much joy and intrigue through the years. Belated birthday wishes, thank you for all the music and insperation. God bless you at your Birthday and allways anyway. allowed to have all those past years with you. Happy Birthday John!! You’ve been a big influence in my life. I remember in 1991 after one of your show here in Argentina, I was waiting for you to come out of the theater and when you walk you to your hotel told me see you again the other day when you comment that I could not because I got married and I hugged and wished good luck … I tell you that I’ve been married 22 years and many more listening to you. Thanks for giving us so much music. Greetings from Argetina MASTER!!! Happy Birthday John and thank you for the beautiful music that has made my mind dance over thr years. Happy birthday, John, and thanks for all the fantastic music! I hope you had a great Birthday! I thank you for all you have shared with the world. The Mahavishnu Orchestra has had a profound impact on my life from a young age forward. I cannot imagine a world without « The Inner Mounting Flame » or « Birds of Fire » or « Apocalypse ». I own over 25 of your cd’s and consider you one of my favorite guitar players. Your music has been a part of my life for over 35 years. I thank you and wish you the best! Happy Birthday! Just watching/listening to a 5 Peace in Vienna video and remembered your birthday. Sorry this is late. And thank you for making my life and this planet so much more beautiful. I’ve been a devoted fan since my mid teens. Looking forward to more music from you! i normally would be in india now at shimla house, unfortunatly my health didnt allow it. its like you once said, let your self be protectet by rythm, by music, and have trust. noa- adays its very hard to find that trust-only in rare moments- at a concert with you, like it was the case with Nurat or shivji or some hidden singer on the streets of culcutta. May there be a lot of ocasions to go and see you and be part of this. Again all the best wishes. Happy belated, John – I see/hear you in my heart. Happy Birthday John! Thank you for the wonderful music and knowledge you’ve shared over the years. Many more to you! Really appreciate all the great music. The musicians you have played with such as Gary Husband are amazing. I will keep an eye out for any live performances. I hope to be able to attend. Happy birthday, from long-time fan!. Next time you come to Norway I want to come and have my original 1970 LP « Devotion » signed by the Magi himself!! Happy birthday and best wishes, dear John. musical project, and so look forward to hearing where your muse has taken you. Please come back to the Denver / Boulder area. We long to hear you play live. You are The Music Poet. Thank you for choosing to come once more to planet earth. No imaginas lo que tu magia musical ha significado para mi: ¿cuántos momentos de relajos, de alegría, de subida de ánimo, de satisfacción, ….? gracias maestro, no te mueras nunca!! mis saludos son desde Santiago de Chile. Seems I’ve been bit late for your birthday greetings, however trying to catch up at the Chinese New Year. So, much happiness to you and your music. Your old fan since « Extrapolation » and « Inner Mounting Flame » (figure out, I’ve even managed liking « You know, you know » by my daughter, now 25). Conrad. Happy Belated Birthday and greetings from Connecticut. I look forward to watching you play again, all the best for 2014. Thank you for all of the great music! It is only within this year I have become familiar with your music and I love it. Greetings from Denmark. Late, but most sincere happy birthday wishes. … better late than never, wishing you a very Happy Birthday and many more to come! Thank you for all of the incredible musical expressions and emotions that you have shared… I wonder how many millions of notes have emanated from your fingertips? Please keep them coming!!! It was exciting to see and hear you and the 4th Dimension last summer in Asheville. And a great honor to meet you after the concert. Thanks again for your wonderful music. happy birthday and many wishes and greetings to you! 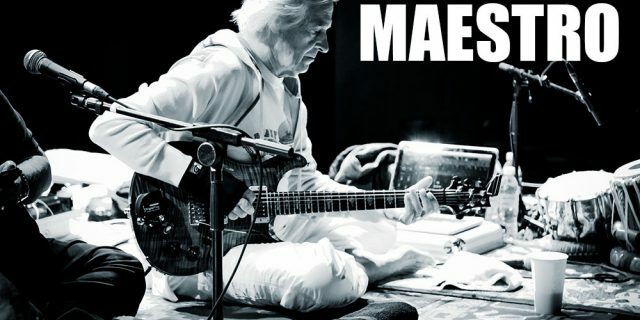 I follow your music since a very long time, actually from the beginning of the first Mahavishnu recordings on. Once a went on stage with Shakti in 1976 Montreux Festival accidently. I was very young at that time like you was. It was a great event and a wonderful concert, which i caught by chance. Sometime i watch the video on YouTube. A funny story. I want to let you know: i’m a guitarist and you influenced me for a long time since the beginning of the 70ths, when i stated to play the instrument. And i want to thank you for being on this planet, creating a lot of great music projects and want to wish you all the best, health and inspiration for the future. Happy Birthday Mr McLaughin…. You are truly living proof of the brilliance that human beings can accomplish in a lifetime. The Shakti performance in Athens was everything I could have dreamed to witness in a music performance. Thank you for your wonderful inspiration and for showing that wisdom does indeed blossom with age. Love from the USA. Happy! Keep on keeping on! Happy birthday John!! All the best ever. Happy birthday and my very best wishes for happiness in 2014. I’ve been listening to your music since the Inner Mounting Flame. All of your music is a source of inspiration. I must say that your work with the 4th Dimension is the very best you’ve ever done! Almost 30 years ago, I really enjoyed seeing you in concert hand in hand with Paco at the fronton of Hendaye (Pays Basque). I am profoundly sorry for you because I could see how much you both loved playing together and the mutual understanding you seemed to have. Happy birthday my dearest musician and idol! I was so lucky to see you in Vienna 17.11.2013 and must say it was so inspiring evening that I was experiencing troubles with breathing! Also I would like to express my condolences for loss of your colleague and friend Paco de Lucia. I am so sorry. Happy day of existence john! May your music be forever herd in the cosmos! You’ve been such a great influence in my music, life, and tabla playing career! Happy Birthday John and Thank You Very Much. you are a life long inspiration for me. Even met you a few times briefly in New York. Saw the band w/Marc Mondesier here in Vienna a few yrs back. A birthday present from my wife. Anyway, continued health & happiness to you sir. Happy Belated Birthday, Dear Maestro!!! I don’t even know where to begin? I am a 33 year old jazz/ classical keyboard player who wishes to let you know you have been one of the few artists who has changed my life and given me the ability to be myself, to find my own sound. To me, You have always stood as a giant force against the corporate trash that attempt to infect the soul of all art. You are an inspiration and an true example of the unique and unbreakable nature of our spirit as humans. not understand it. But it was samething that felt GREAT!!!! Notify me of followup comments via email. You can also subscribe without commenting. Instagram n'a pas retourné le status 200.